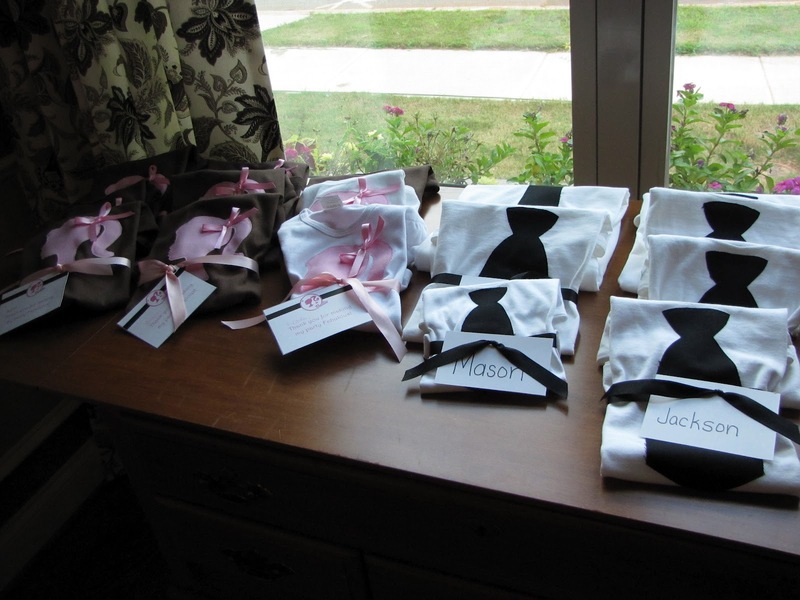 Today I'm going to share with you how I made the tie and Barbie silhouette shirts for Claire's birthday party. 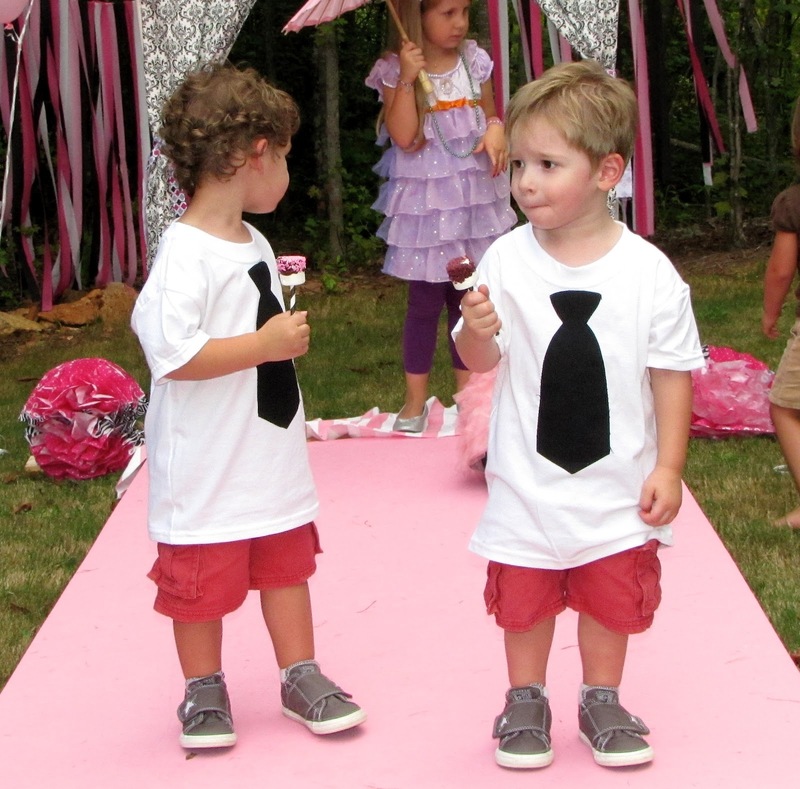 It was an easy and semi-quick project and everyone seemed to love their shirts! Matt's mom came over to help me get them finished in time for the party. 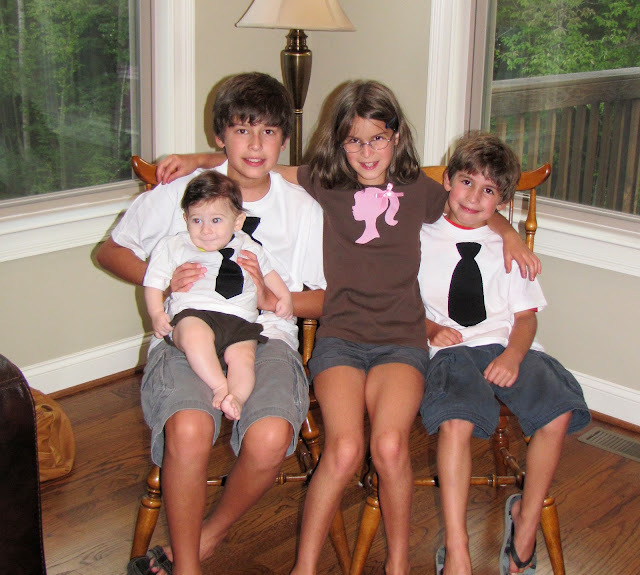 Yay for Grammy's! 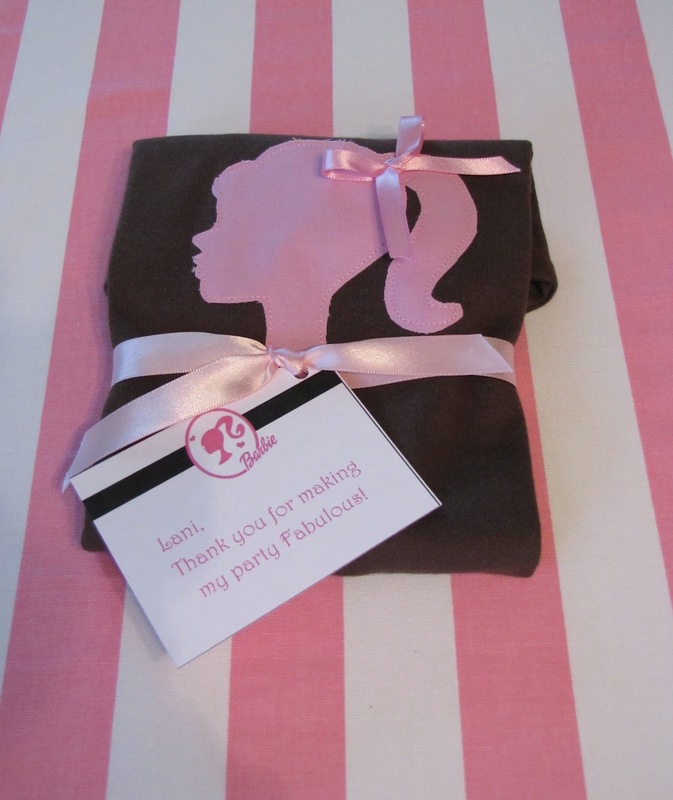 First, you cut out a piece of fabric big enough to fit your pattern (tie or Barbie). 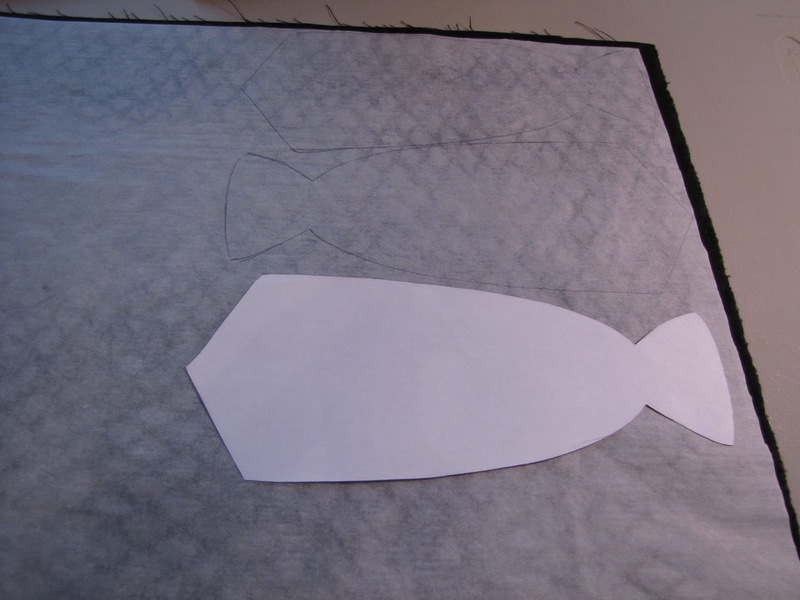 I cut out a large piece big enough to trace all the ties I needed to make at one time. 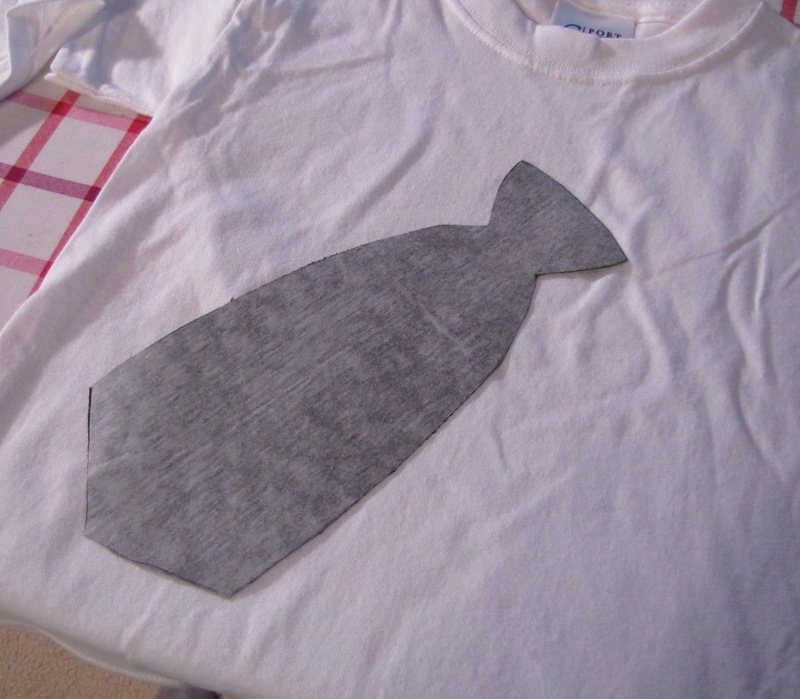 Cut out a piece of iron-on adhesive the same size as your fabric. 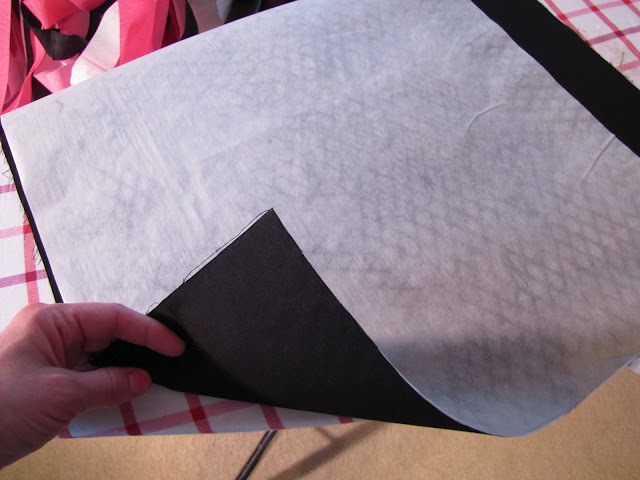 You will place the bumpy side of the adhesive together with the wrong side of the fabric and iron them together. You want the iron to be touching the fabric side so that the sticky part of the adhesive transfers over to the fabric. Lay your pattern on top and trace it onto the paper. Peel off the paper backing from the back of the adhesive. 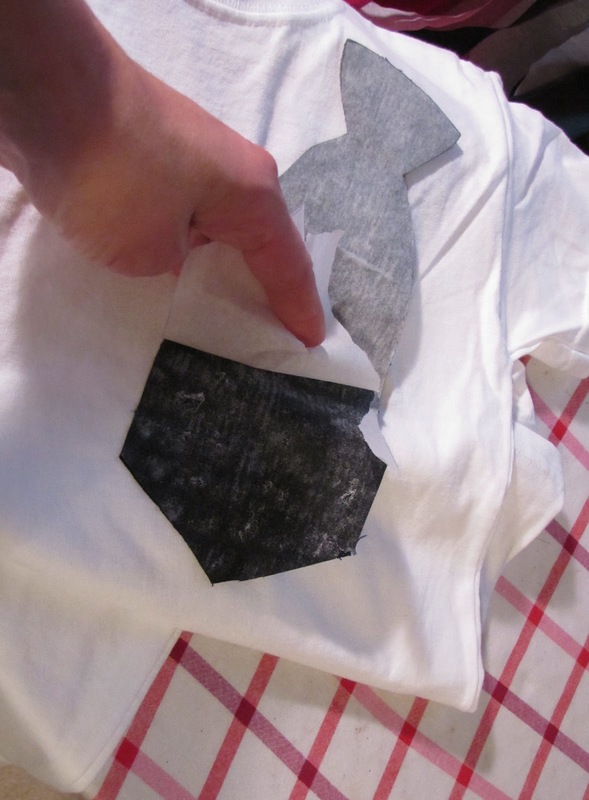 Make sure the adhesive transferred over to the fabric. 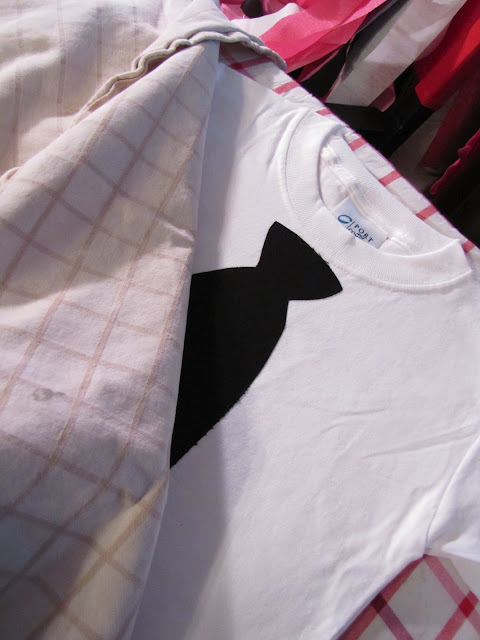 If not just re-iron it (fabric side facing up) until all the adhesive is on the back of the fabric. So the back of the appliqué looks like this. Now you're going to place your appliqué on the shirt where you want it to go. 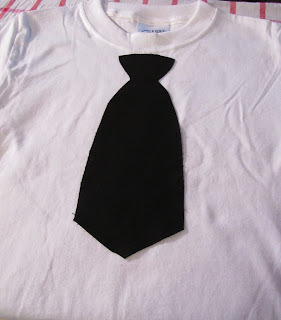 I placed a thin towel on top of the tie and ironed over the towel. 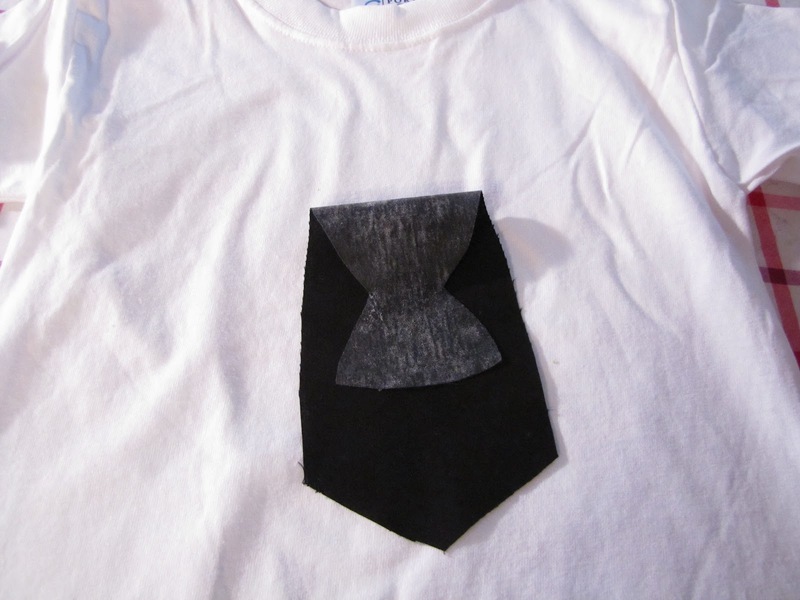 Iron until the appliqué is completely attached to the shirt. 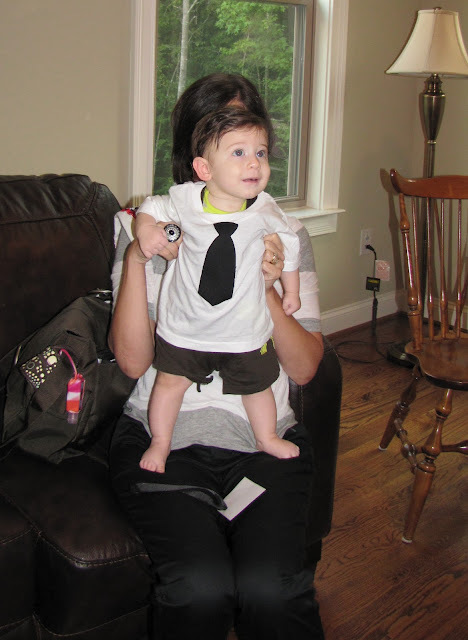 To finish it off I sewed all around the edge of the tie with my sewing machine. 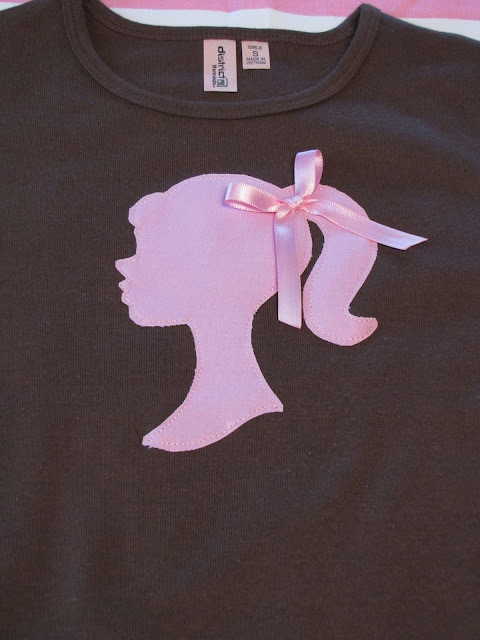 You would use the same steps to make the Barbie Silhouette shirt. I just added a bow to this one using hot glue.